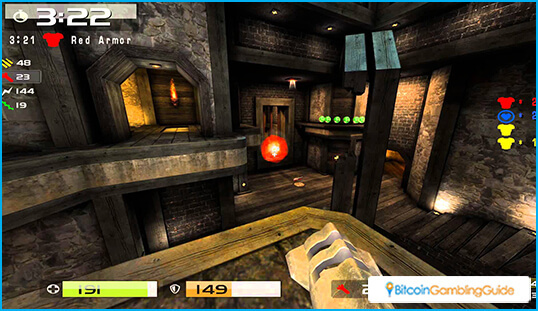 Quake is one of the most iconic first-person shooter games played in many live tournaments. Experience it on another level with Bitcoin eSports betting. Quake is famous during the 90s for being a successor to the most successful first-person shooter (FPS) game that influenced the genre. 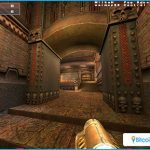 Bitcoin eSports fans loved this game for popularizing many different elements of the genre. This includes different weapons, map arena, and item power ups. 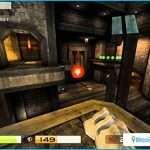 Quake Live, the latest version of the game, brings back everything which made the first game a household name. The eSports matches of this game might have bettors rethinking about their wagers as they are familiar with other FPS games but are still new to this one. Surprisingly, Quake is much simpler to understand than modern military shooter games like Counter-Strike. The original Quake was supposed to be a single-player game where players go through a level by fighting different monsters and turning on switches. The game shared a similar experience with Doom, which is its predecessor. This time, players can jump and swim around a level. The game’s death match is its multiplayer feature where players fight against every player or join a clan. Quake III Arena focused more on the multiplayer aspect of the game. In exchange for a single-player mode, the game has a large selection of multiplayer modes, such as the famous Capture the Flag feature. This feature requires players to move toward the enemy’s base and grab their flag. At the same time, they must also stop their opponents from taking their own flag. Quake III Arena led to the creation of several tournaments and professional player organization. Today, Quake Live is the latest multiplayer focused installment of the game. It contains new and classic game modes from the previous version. Its matches were held in different organizations and events. This includes DreamHack and Quakecon. Its gameplay is very straightforward. 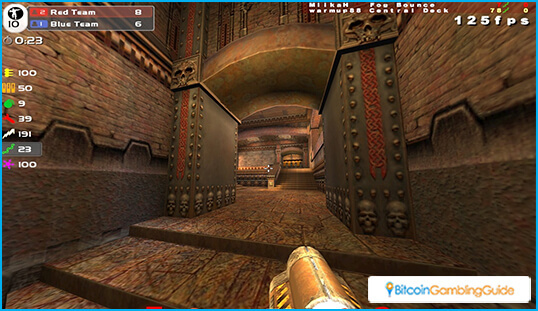 Players navigate through a map and use their weapons to eliminate other opposing players. It allows players to use different kinds of weapons through a game. This includes the Railgun, which shoots out a beam across the map and does a significant amount of damage. Another is the classic Rocket Launcher, which does splash damage or can damage multiple enemies. Professional players also use this weapon for mobility by using a move called a ‘rocket jump’. The move involves firing the weapon directly on the ground to propel their character up a higher place. There are many Bitcoin gambling sites that offer eSports betting. Bookkeepers in these sites assign odds to the opposing teams in a Quake Live match. Players make a wager on a team they believe is going to win. They walk away with a large payout if they predict the right team to win. 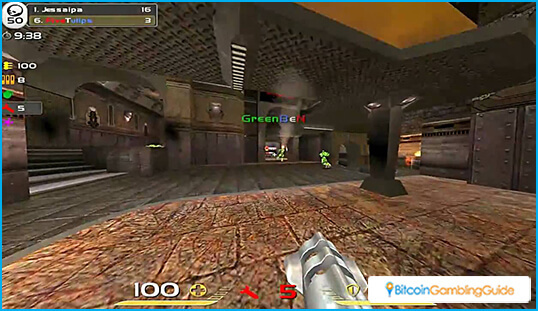 Bitcoin gambling on Quake Live matches makes the game more exciting for many people.